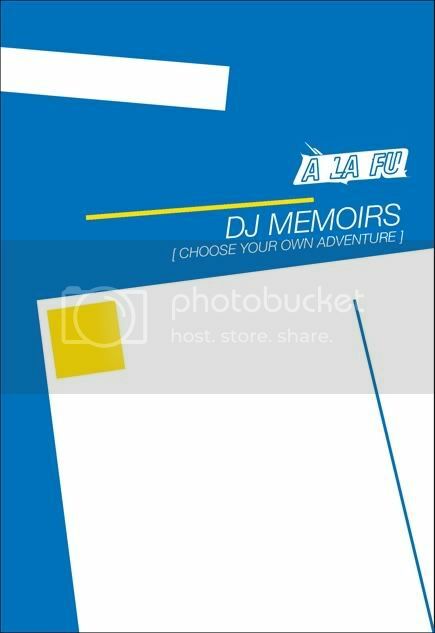 As a double CD and book release, the DJ Memoirs project works by having a Main Mix on Audio CD which is spliced at certain points and it’s here where you will have the choice to insert the various sections of audio you will find on the second CD into your media player seamlessly depending on whatever style, environment or situation you’re in the mood for, essentially having the ability to create many different setlists, rearranging where you see fit, with or without the story...hell, make up your own. There’s even a wee map to show us some examples. We're all disc jockeys at heart but you can tell a lot about someone when they play a record. Oh yeah... and I did the artwork!